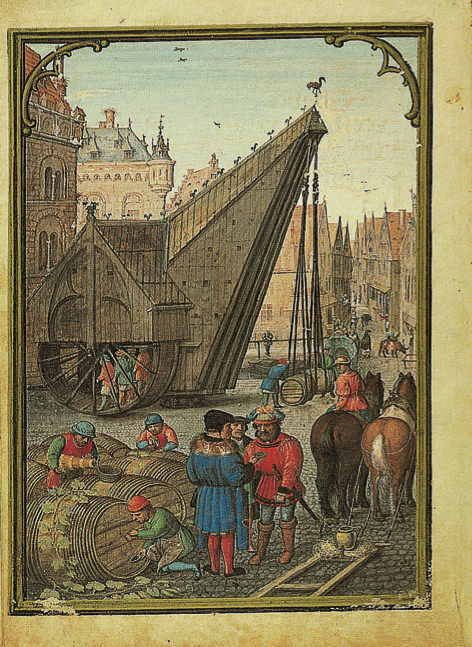 Flemish book painting of the late period belongs among our finest and most revered legacies from the waning Middle Ages. So it was only right that soon Faksimile Verlag Luzern proceeded to take on these master works too. In June 1991, the facsimile edition of Simon Bening’s Flowers Book of Hours had its debut in the Bayerische Staatsbibliothek in Munich. The attempt ventured to replicate the original cover with its enameled, gilded silver clasps studded with rubies for part of the edition, which meant having to make goldworking techniques part of the reproducing work. A first attempt along these lines had succeeded a few years earlier in copying Simon Bening’s Flemish Calendar (also from Munich’s Bayerische Staatsbibliothek). Flemish book painting of the late period belongs among our finest and most revered legacies from the waning Middle Ages. Not long after, the Croy Hours – Book of Drolleries from the Österreichische Nationalbibliothek in Vienna, with its grotesques and drolleries reminiscent of Hieronymus Bosch, was presented in a facsimile edition. For this, the first signed book cover from the Middle Ages, made by Ludwig Bloch, was reproduced as a faithful replica for protecting the illuminated manuscript of the Ghent-Bruges school. Only part of the edition could also be fitted with clasps and fittings faithful to the original. These editions’ deluxe version especially were always sold out immediately, proving that it made sense to combine the art of creating a facsimile with cover art. At that time, the publisher produced another special edition for CORON EXCLUSIV that sold out in a very short time. 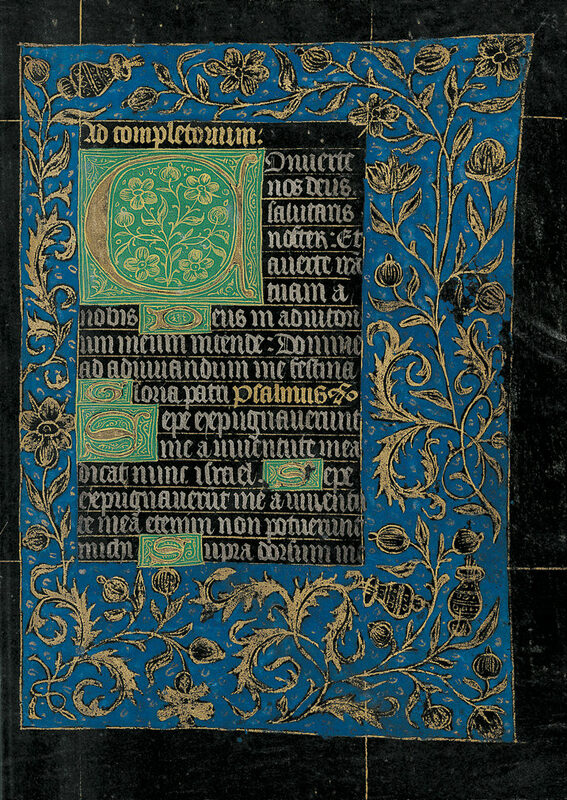 The Black Hours in the Pierpont Morgan Library, New York, the only completely preserved, illuminated and illustrated Burgundian manuscript on black parchment, proves how fitting it is to furnish important illuminated manuscripts with precious bindings. The publisher decided to give the facsimile a cover like the one that appears repeatedly on dedication pictures in manuscripts for Philip the Good and Charles the Bold. By no means do these valuable editions yet close the chapter on Flemish book art for Faksimile Verlag. Projects are continually put on the drawing board and their feasibility examined in detail against the high standards that Faksimile Verlag has set for itself. One of the publishing program’s curiosities is a small illuminated manuscript that was probably intended to accompany the Duke of Burgundy, Philip the Good, in his travel luggage. The Book Altar of Philip the Good is a unicum in the history of books. The binding in this case also turned into a challenge for the craftsmen. 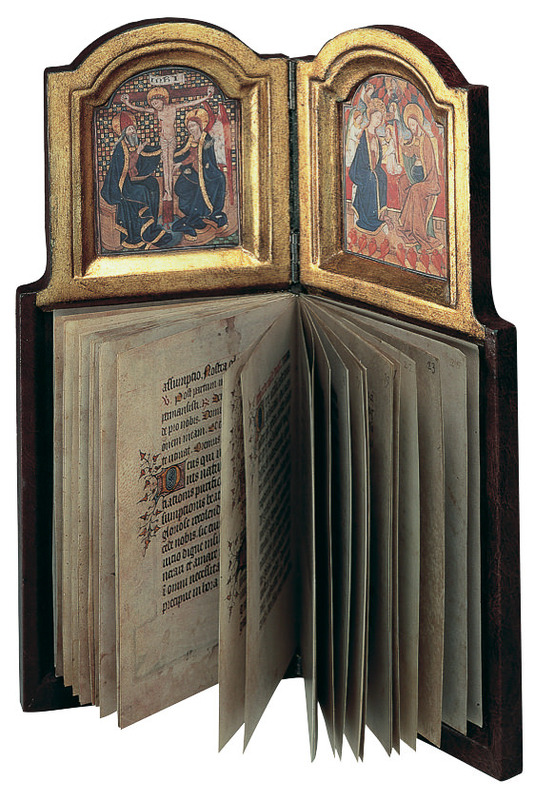 The diptych together with the manuscript is lined by an ornamented cover made of leather-covered, wooden panels connected by sturdy hinges: it is the facsimile as a book object, like the original housed in Vienna’s Österreichische Nationalbibliothek. 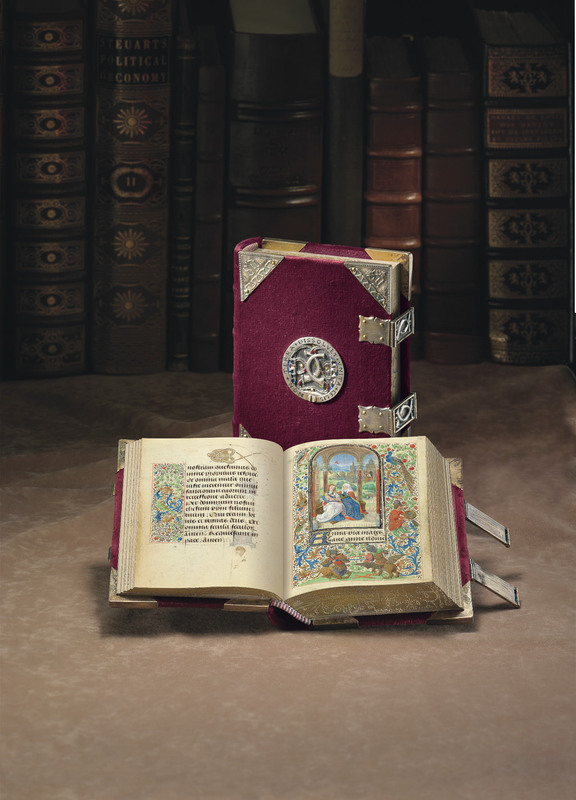 In a stimulating, cross-fertilizing collaboration with CORON and Müller und Schindler publishing houses, one of the most intimate and personal prayer books of the Middle Ages, created for Philip the Good’s granddaughter, was made accessible for the first time: the Berlin Book of Hours of Maria of Burgundy and Emperor Maximilian from the Kupferstichkabinett in Berlin, which is among the most enchanting manuscripts of Flemish origins. On a host of miniatures and splendid ornamental frames, its pages document a love that, despite its tragic ending, was unique for the Middle Ages and laid the milestone of a new world order. We can thank the Vienna Master of Maria of Burgundy, as he would be called later, for the personal Prayer Book of Charles the Bold (today in the Getty Museum, Los Angeles). It is one of the most important manuscripts, illuminated throughout, and could be called a Burgundian treasure in book form. This edition provided the starting point for a series of superb international exhibitions on Charles the Bold that only ended in the year 2010. 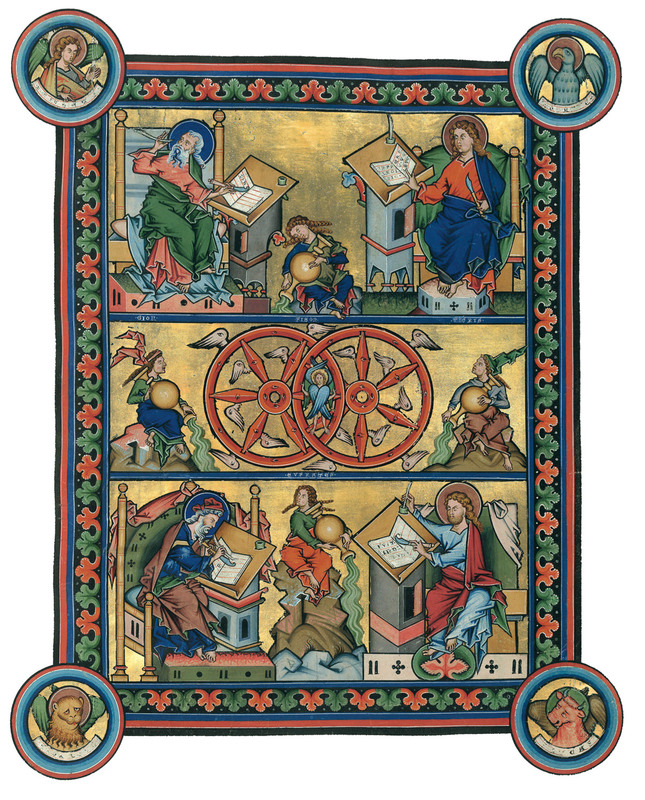 The Bible, the Gospels, the New and Old Testament were permanent recurring themes of book painting in the Middle Ages. Faksimile Verlag has also taken on these manuscripts, the foundation of the Christian West, in all their variety. Already mentioned were the Book of Kells and the Lindisfarne Gospel, and we will discuss the Crusader Bible; the Lorsch Gospels shaped future publishing goals at the turn of the millennium. The Mainz Gospels of the Hofbibliothek in Aschaffenburg are another codex aureus, that is, a book written in gold. This manuscript edition with its 71 illustrations of the New Testament parades the whole glory of Gothic Germany before our eyes. Their miniatures glow like cathedral windows and make the Mainz Gospels the most significant 13th century German work of art. The Ottheinrich Bible, which belongs among the most valuable bibles artistically and linguistic-historically speaking, deserves special emphasis, due to its being the oldest New Testament written in the German language, predating Luther by a century. In 2007, it returned complete to Germany and is now open for viewing in magnificent exhibitions by all the people who made its repurchase possible. 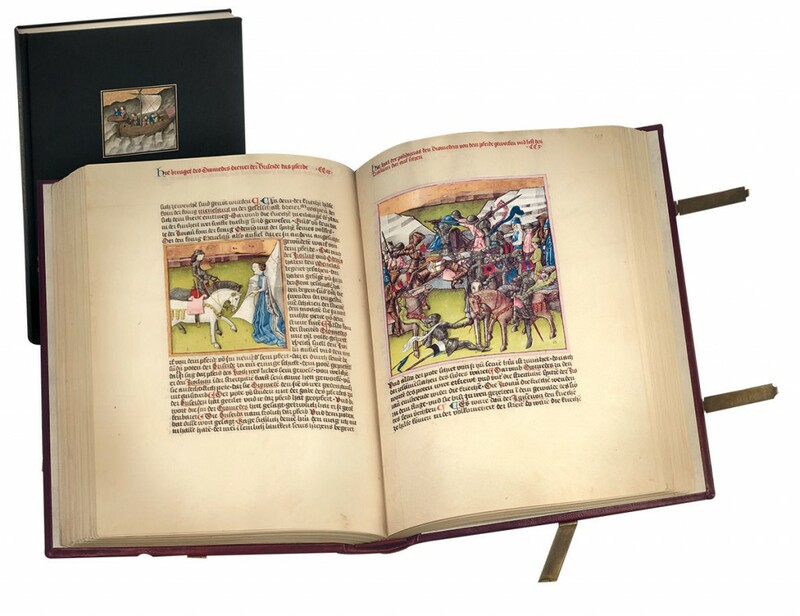 The Ottheinrich Bible comes with incredible master works of 15th century Regensburgian book painting that only bear comparison with the art of Martinus Opifex in his Trojan War. Beyond this, it became an outstanding example of German Renaissance art, after Ottheinrich of the Palatinate commissioned Matthias Gerung, his court painter, to carry on with the picture decorations. A different type of biblical manuscript must not remain unmentioned here, that of the Pauper’s Bible. The Golden Bible – Biblia Pauperum, dating from the start of the 15th century, is a picture cycle with 93 miniatures (all on gold backgrounds) with commentary and explanation of the most important stages of Christ’s life – today reposing in London in the British Library. In the Golden Bible, we find three miniatures in glowing color on each page: in the middle is an event from the life of Christ, the so-called antitype, to the left and right scenes from the Old Testament as the type, which, according to typological doctrine, prefigured the life and works of the Messiah to come. The Middle Ages displayed some of the most interesting works of art of all times, despite being called the Dark Ages. Among those, Flemish, Burgundian, and Biblical arts are some of the most remarkable. Did you like this glimpse into these forms of art? Want to see more? 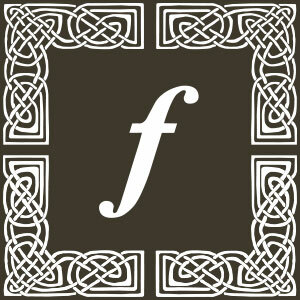 Visit our online catalogue at Facsimile Finder!